The Center for Food Safety is escalating the political and legal warfare over genetically engineered crops in Hawaii. On the 11th floor of the Gold Bond Building, on the edge downtown Honolulu, is the brain trust of Hawaii’s anti-GMO movement. The Center for Food Safety opened a new field office here on April 16, saying it wanted to foster public support to end irresponsible pesticide use and genetic experimentation on seed crops on the islands. Just two days before, on April 14, the Washington, D.C.-based nonprofit invited 60 people to the Pig and the Lady restaurant in Chinatown to make the announcement in person. Attendees included some of Hawaii’s most recognizable nonprofits and business leaders as well as officials from the state Department of Health. Progressive state lawmakers Jessica Wooley, Chris Lee and Russell Ruderman were also in attendance. Over grilled pork shoulder, pickled small fish and mushroom donuts with manchego foam — all of it locally sourced — the Center for Food Safety’s staff introduced themselves as a new voice in Hawaii’s food politics. 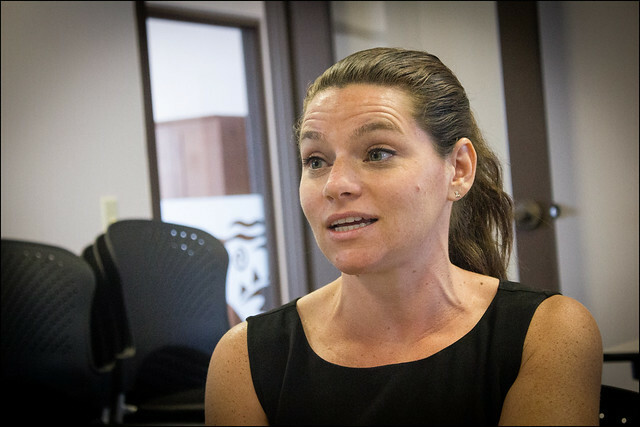 Ashley Lukens, an adjunct political science professor and co-founder of the Hawaii Food Policy Council, is going to spearhead the nonprofit’s efforts in Hawaii. She’ll be joined by Kasha Ho, a Kauai-born community organizer who has worked for Kanu Hawaii to help low-income families get access to local produce. From their uncomfortably small office overlooking Sand Island and Honolulu Harbor, they plan to harness what has become a passionate, if sometimes unwieldy, anti-GMO movement to take on a Hawaii’s $250-million-a-year seed industry, a field dominated by Monsanto, Syngenta, Dupont Pioneer and other corporate giants that have a grip on much of the U.S. food supply. The Center for Food Safety is a well-funded nonprofit that spends millions of dollars on litigation, community outreach and politics to support organic and sustainable agricultural practices. It opposes GMOs, pesticides and other technologies that it worries might be harmful to humans or the environment. At a national level, the center lobbies for labeling GMO foods and pushes federal agencies for tighter controls on what products make it to grocery store shelves and which chemicals can be sprayed on crops. 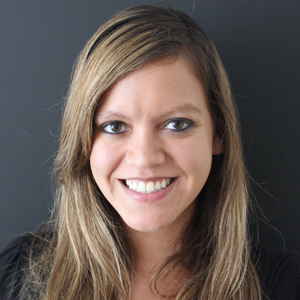 Ashley Lukens will spearhead the Center for Food Safety’s efforts in Honolulu. It supports maintaining seed biodiversity, protecting pollinators from pesticides and taking on inhumane animal processing practices. The nonprofit focuses much of its attention in the courts, where it challenges both corporations and government. It boasts of these legal challenges in a recently released “Victory Report” that was published to commemorate the organization’s more than 15 years of activism in food policy. Among the victories listed are efforts to keep GMOs out of wildlife refuges and convincing major supermarkets and food companies, including Trader Joe’s and Target, to refrain from selling engineered salmon. It also boasts of fighting Monsanto in the U.S. Supreme Court over GMO alfalfa. But the group also works to harness citizen concern over GMOs and turn that into action. For instance, when the USDA was considering approval of genetically engineered salmon, the center led a major effort to flood the agency with comments opposing the move. Nearly 2 million comments were submitted. In California, the Center for Food Safety spent more than $1 million trying to pass a GMO labeling bill. Supporters of the measure, mostly organic food advocates, pitched in as well, bringing the total to roughly $9 million for labeling. But big biotech and its allies corporate allies in grocery manufacturing spent $46 million to kill the proposition, succeeding by a slim margin. The same scenario played out in Washington, where the biotech companies again outgunned labeling advocates. Just last week Vermont passed a GMO labeling bill that the Center for Food Safety helped draft with the help of lawmakers there. The nonprofit had been actively working to get a labeling measure passed in Vermont since 2005. 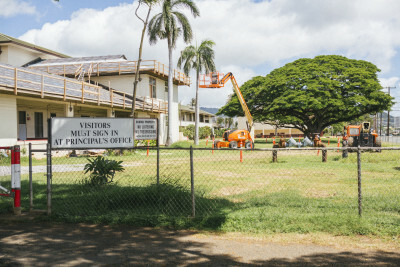 But now the Center for Food Safety is focusing its attention on the Aloha State, where the debate over GMOs and pesticide use has galvanized the community, from the papaya farms on the Big Island to the hallways of the Hawaii State Capitol. The nonprofit’s escalation has buoyed the anti-GMO movement like never before. Not only has it joined in a lawsuit to protect a GMO and pesticide disclosure law on Kauai — legislation it helped craft — but it’s also helping push a ballot measure on Maui that if passed would impose a temporary moratorium on GMO farming. 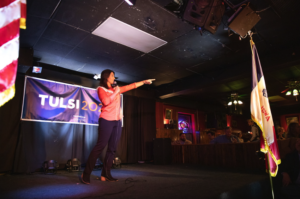 Maui County residents used the center’s polling company to gauge voters’ positions on GMOs before pursuing the initiative. So far residents have gathered more than 11,000 signatures that are currently being reviewed by the county. The Center for Food Safety plans to do a lot of voter and consumer outreach in Hawaii. But it’s the center’s decision to open up an office in Hawaii that has the biotech industry on high alert. That shows a level of commitment that some say won’t dissipate until the corporate seed industry packs up and leaves the islands. Hawaii’s year-round growing conditions are what make it so important to the biotech companies. The warm climate allows for up to four crop cycles per year, giving researchers more opportunity to test their seeds. 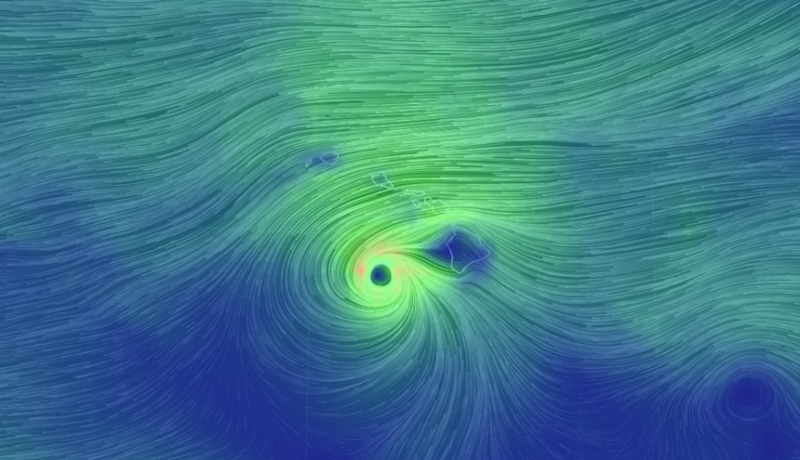 This has allowed Hawaii to become the global leader in seed corn. The Hawaii Crop Improvement Association, which is a trade organization for the seed industry in the state, has been at odds with the anti-GMO movement for a long time. 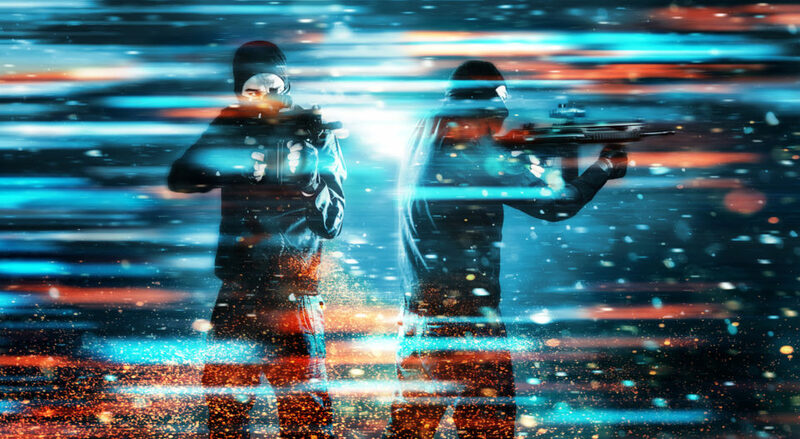 Each side pushes its agenda through targeted lobbying and PR campaigns, legislative proposals and large-scale protests. And while Phillipson says the Center for Food Safety doesn’t necessarily up the stakes of the political game — they’ve always been high — he worries that whatever middle ground there was for compromise will disappear. “I don’t think the Center for Food Safety is here to let agricultural biotechnology flourish and prosper,” he said. The Center for Food Safety was founded in the 1990s by environmental attorney Andrew Kimbrell and, even though it’s just emerging into the public consciousness here, it actually has been involved with food issues in Hawaii off and on for years. 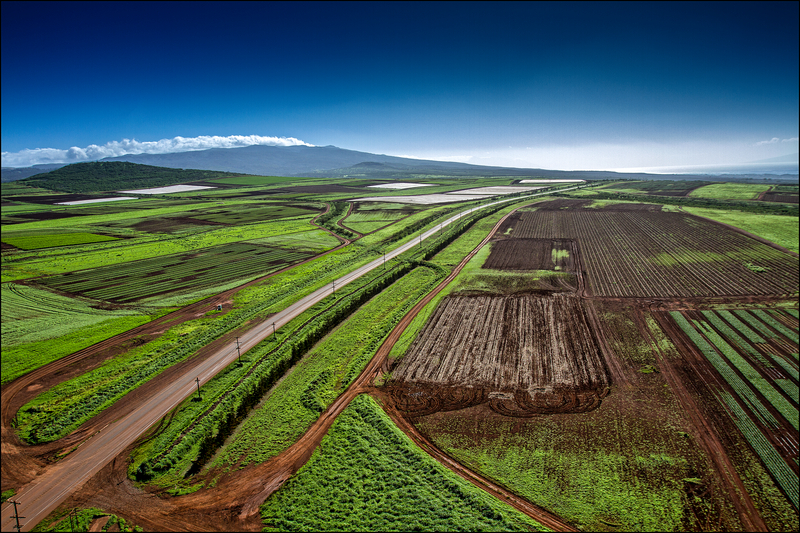 The center played a key role in the fight to protect Hawaiian taro from genetic engineering. 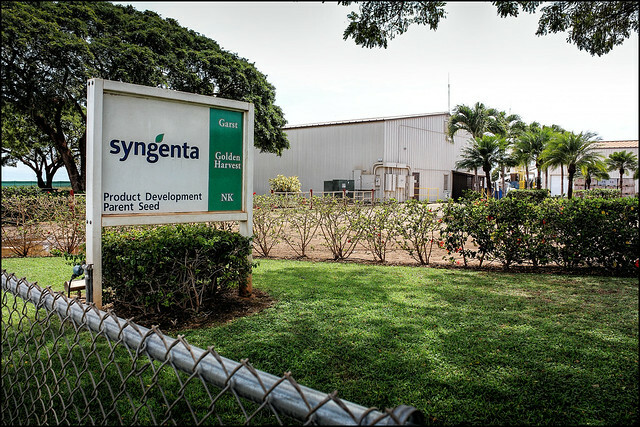 Syngenta’s seed crop facilities on Kauai, where the company has filed a lawsuit over a new GMO law. In 2002, the University of Hawaii had obtained patent rights on three strands of disease-resistant taro, a root brought to the islands centuries before by Polynesians and developed into a food staple that is used today to make poi and other dishes. But Native Hawaiian activists, including Molokai resident Walter Ritte, vigorously protested the patents, saying that the university should not be allowed to “own” such a sacred plant. They even padlocked the doors of the John A. Burns School of Medicine in a demonstration against the patents. Their efforts worked, and in 2006 the university walked away from the rights to genetically modify taro. The act, lauded by many as a huge success, still resonates in today’s GMO debate. Ritte says it couldn’t have happened without the Center for Food Safety. 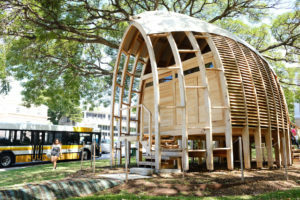 Since then, the center has continued to help shepherd Hawaii’s anti-GMO movement. 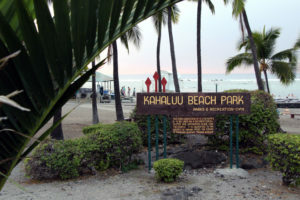 In 2005, the group helped found the nonprofit Hawaii SEED, a coalition of anti-GMO organizations that operate on neighboring Hawaiian islands. And more recently, the center has coordinated meetings of Hawaii’s anti-GMO groups that have taken an active, if sometimes antagonistic, role with the biotech companies and the lawmakers who support them. But the center’s involvement in Hawaii and elsewhere has drawn its share of critics. The nonprofit’s actions, especially its legal maneuvering, are little more than delay tactics, critics say, designed to bog down progress in agricultural science and slow down a system of checks and balances set up through the U.S. Food and Drug Administration and other agencies that are designed to keep people safe from harm. Many of these naysayers are closely aligned with the biotech industry, whether directly or through various research institutions. The latest barbs, however, question the Center for Food Safety’s true motives in the GMO movement. Critics say the big donors that funnel cash to the nonprofit have their own business interests at stake and too much influence over the center’s actions. Standoffs between a multi-billion-dollar company like Monsanto and a small-scale farmer or community activist are often painted as a David-and-Goliath battle, with Monsanto playing the part of the looming giant. The Center for Food Safety and other anti-GMO, anti-pesticide groups, including Just Label It and the Pesticide Action Network, tend to push this narrative by highlighting the millions of dollars biotech firms pour into lobbying efforts, PR campaigns and politicians’ campaign accounts to further their own agendas. But now those aligned with the biotech industry are trying to flip the script. They say that groups like the Center for Food Safety are lining up with wealthy donors, who want to promote the growing organics and natural foods industry, to influence legislation that would lead to a larger market share. 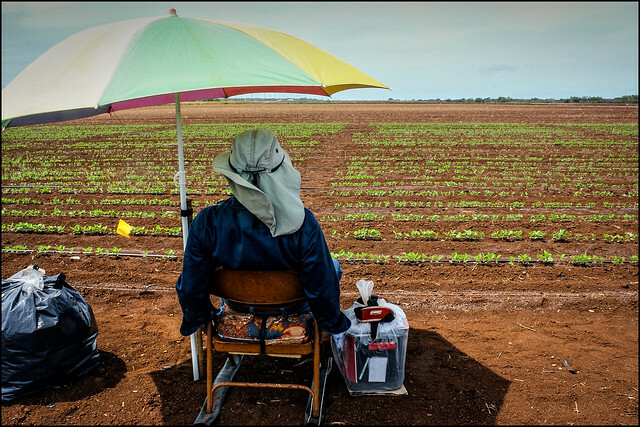 A field worker watches over Syngenta’s GMO crops on Kauai, waiting to scare birds away from the seedlings. Karen Batra, spokeswoman for the Biotechnology Industry Organization, a Washington, D.C.-based trade association, says her group has been at political odds with the Center for Food Safety for years, and that she believes the nonprofit to be a lobbying organization and anti-industry group that disguises itself as a traditional consumer advocate. 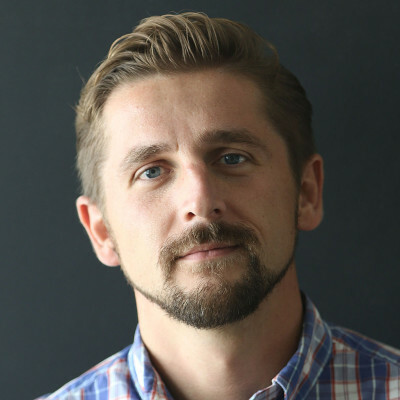 Jon Entine, founder of the Genetic Literacy Project, takes it one step farther. He’s even more skeptical of anti-GMO activists who label themselves as the underdog when they’re the beneficiaries of multimillion dollar foundations, some of which have direct ties to the organics foods industry that in 2013 reached sales of over $35 billion. Entine, whose Genetic Literacy Project aims to promote the science behind GMO research, has attempted to document where various grassroots causes in Hawaii get their funding. Last year he launched his own investigation into the topic, which he later published in a pair of scathing online commentaries. At least the biotech companies have easily identifiable sources of funding, he said. Tax filings show the Center for Food Safety received $7.2 million in revenue in 2012, which is more than double what the nonprofit made the previous year. About half of the $7.2 million, organization officials said, came from a windfall of legal fees collected through successful lawsuits the nonprofit had filed over GMOs and other farming practices. The nonprofit also received $3.8 million in grants and other contributions from organizations. It’s these grants that help pay for a significant portion of the center’s operations every year. The grants have also drawn the most scrutiny. Between 2008 and 2012, the nonprofit’s tax forms show it collected $11.7 million through various gifts and donations; 2011 and 2012 were banner years. In 2011, the nonprofit took in nearly $2.9 million in grants, and in 2012 it received $3.8 million. 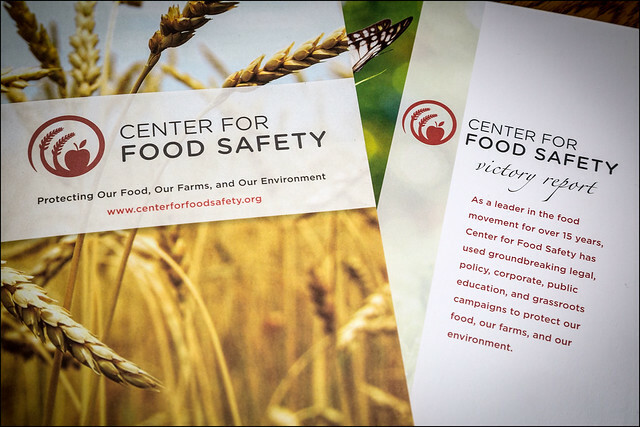 Many of the foundations giving to the Center for Food Safety have similar profiles. They typically have multimillion endowments. They give out a lot of money to nonprofits. And they tend to fund progressive causes, especially those related to environmental sustainability and food production. Among the donors are the Cornerstone Campaign, the Columbia Foundation, the John Merck Fund and the V. Kann Rasmussen Foundation. Some familiar names also populate the nonprofit’s list of donors, including the Goldman Sachs Charitable Gift Fund and Rockefeller Philanthropy Advisors Inc., which gave $400,000 to the center in 2003. 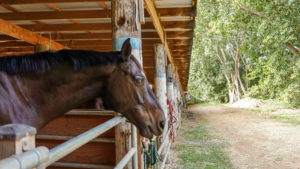 The Newman’s Own Foundation, started by actor Paul Newman, has also given money to the Center for Food Safety, as has Newman’s daughter’s trust, the Nell Newman Foundation. The Clif Bar Family Foundation, which is funded by the company that sells organic energy bars, has also donated to the center. Kimbrell sits on the Cornerstone Campaign board of directors, along with Abby Rockefeller and Mary Morgan. Together the three make decisions about where to donate money, and over the years have given money to groups like the Union of Concerned Scientists and the Council for Responsible Genetics. In 2012, Kimbrell’s involvement with the Cornerstone Campaign, the Center for Food Safety and its sister organization, the International Center for Technology Assessment earned him $278,734 in total reportable compensation, the tax records show. 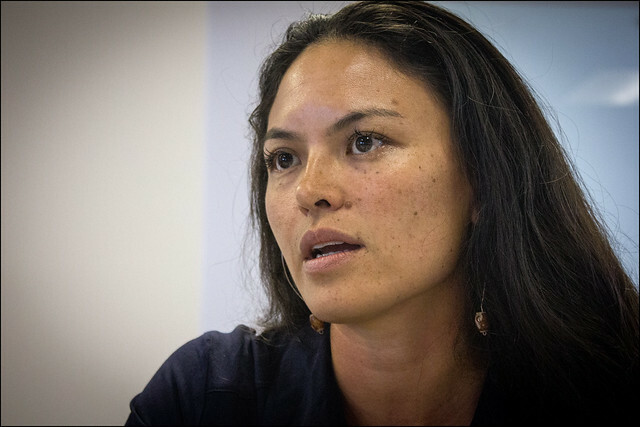 Kasha Ho will help the Center for Food Safety with its community organizing in Hawaii. But one of the biggest funders of the Center for Food Safety over the past few years has been The Ceres Trust, an outfit with a keen interest in organic and sustainable agriculture. The Ceres Trust, which in 2012 reported nearly $20 million is assets, is based Northfield, Minnesota, and gives heavily to environmental causes and organic research, particularly at Midwest universities. From 2010 to 2012, tax filings show the trust — headed by Judith Kern and Kent Whealy, who promotes the preservation and use of heirloom seeds — has given the Center for Food Safety $1.75 million. 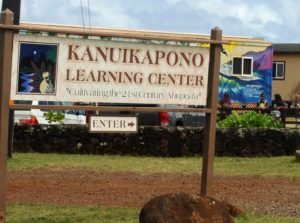 In 2011, the trust also began giving money to several Hawaii groups focusing on food sustainability and non-GMO agriculture, including the Kohala Center, on the Big Island, and Hawaii SEED. Since 2011, the trust has donated nearly $1 million to these organizations. 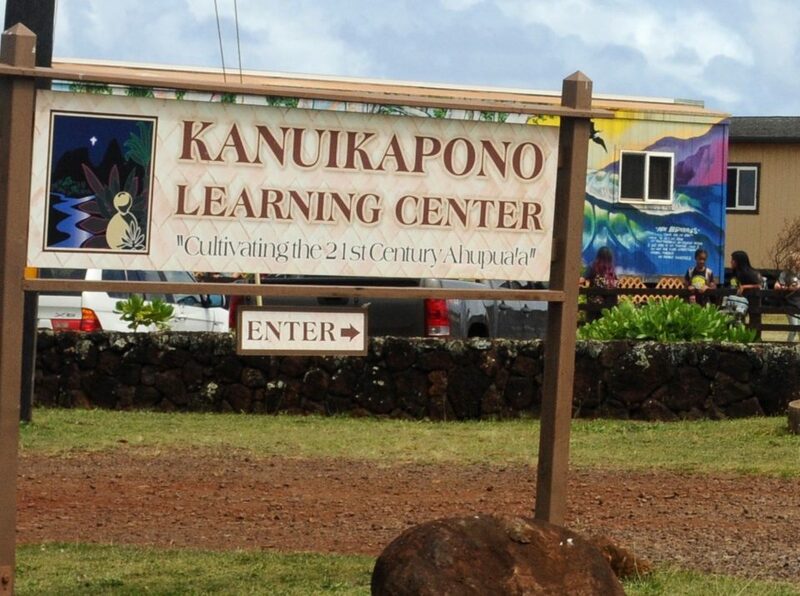 The largest contribution — $340,307 — went to E Kupaku Ka Aina, The Hawaii Land Restoration Institute for native ecosystem and taro patch restoration. Andrew Kimbrell, the Center for Food Safety’s founder and executive director, wasn’t always an activist attorney. He used to teach piano. But after getting his law degree and becoming a corporate attorney he turned to food policy. He says food is the “most intimate relationship we have to the environment,” and can be tied to everything from deforestation and climate change to the abuse of farm animals and obesity in society. But now Kimbrell has now turned his attention Hawaii, which he considers to be a battleground state in the fight over food sustainability. He likens the isles to a “poison paradise,” where Monsanto, Syngenta and the other agribusiness companies go about their business without regard for their neighbors. He bristles at insinuations by the biotech industry and its allies that he, or anyone working for his nonprofit, is on the take from the organics and natural foods industry, calling it little more than a talking point. Kimbrell and others at the nonprofit also push back when questioned about their funding sources, saying the biotech businesses are simply trying to caricature the nonprofit as a giant corporate entity that can exert its will on big corporations, like Monsanto. “It’s not as if we’re starting two equal teams on an equal playing field,” Kimbrell said. He doesn’t make excuses for where the nonprofit gets its money, saying it’s obvious that groups aligned with the Center for Food Safety’s mission would provide grants and other funding to support its causes. But while the Center for Food Safety does get some corporate sponsorships, he notes that it’s only a tiny fraction of what is pulled in through attorneys fees and other grants. He declined to reveal the names of the businesses that give the nonprofit money. Instead, Kimbrell wants to focus on increasing transparency in the food production process, whether its labeling the genetically engineered foods that have been approved for human consumption or pushing for more disclosure about the pesticides that are sprayed on Hawaii’s seed crops. He doesn’t see the Center for Food Safety as the head of the anti-GMO movement in Hawaii, but he promises that his organization is in it for the long-haul. Should the nonprofit lose in the courts and in the political arena it’s only a temporary hiccup in the center’s push to grow more local, organic foods on the islands. He concedes this will take time, maybe five years, maybe 10, even 15. But he believes the momentum is there. 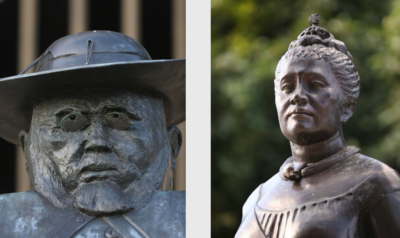 Contact Nick Grube via email at nick@civilbeat.com or follow him on Twitter at @NickGrube.